Bring incredible comfort, great support, contemporary style, and cozy chenille upholstery into your home with this high-quality, Made in America chair. Have it delivered to your home TODAY! This Texas sized chair offers extreme comfort and is built to last! Because it does not disassemble - Gallery Furniture recommends you double check that there is enough room for delivery through doors and hallways! 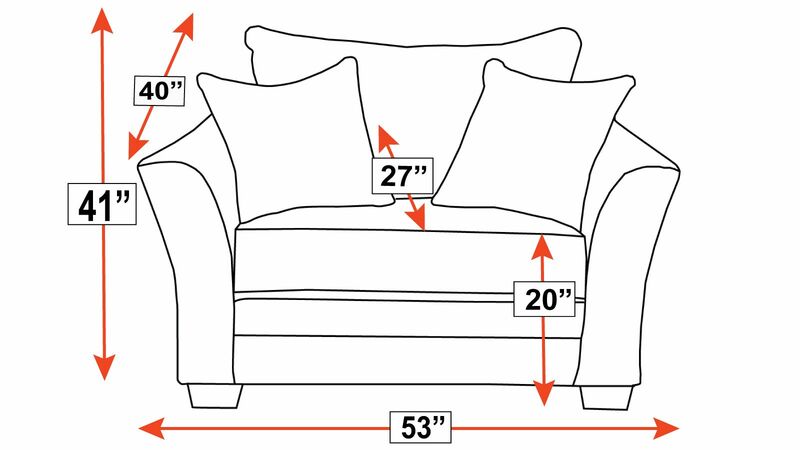 Dimensions are located under the "Additional Info" tab. This chair was proudly and expertly Made in America! Contemporary design will update your home's stylish look. Dense foam cushions, wrapped in Dacron, can stand up to heavy use, while giving you the most comfortable resting spot. Two beautifully designed pillows add sophistication and comfort. 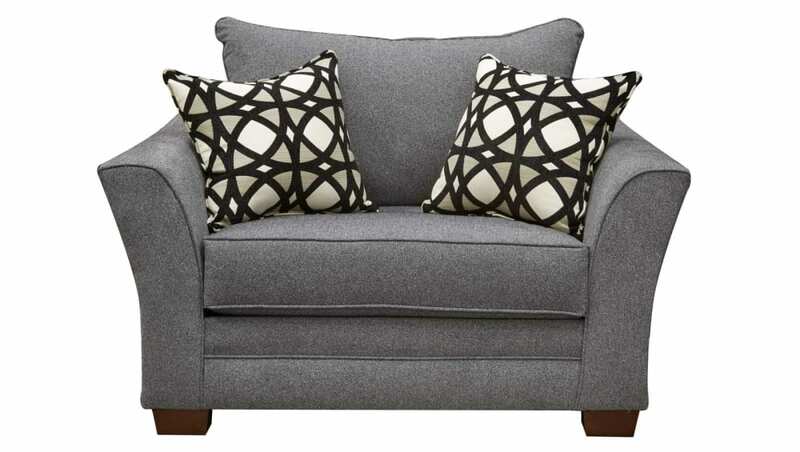 Chenille upholstery is soft, yet durable, perfect for your busy family.